Details about *NEW* "My Brother Has The Best Sis (Me!)" Big Girls Sister Shirt 4 5-6 14 Gift! 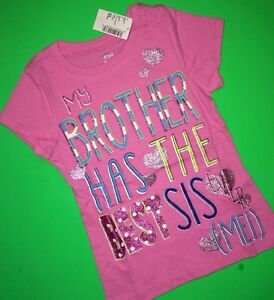 *NEW* "My Brother Has The Best Sis (Me!)" Big Girls Sister Shirt 4 5-6 14 Gift! Use Expedited Postage to get it by 23 Apr.